most prominent suburbs. St. Matthews is Kentucky’s 20th largest City, and although it’s residents can vote in Louisville’s elections, St. Matthews remains independent, with it’s own mayor and emergency services. This community is surrounded by excellent shopping. St. Matthews is home to two of the largest malls in the area, Mall St Matthews, and Oxmoor Mall, which are the 2nd and 5th largest malls in Kentucky respectively. When it comes to shopping, there is something for everyone’s taste and budget. St. Matthews also boasts rows of high end boutiques. The old Vogue Theatre has been renovated to become a hip hot spot featuring restaurants and shops. You can shop for anything from home décor at The Curtain Exchange to a pair of earrings at Blush Boutique, or grab an ice cream cone at Homemade Ice cream & Pie Kitchen. 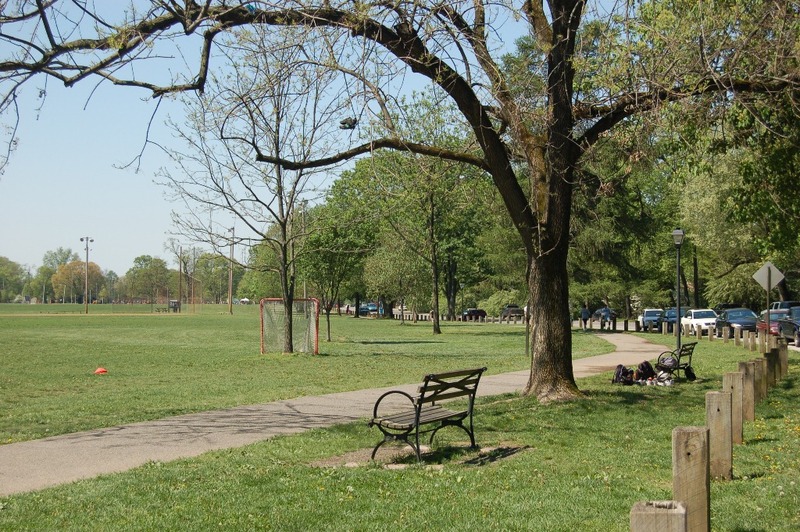 If you would rather spend the day outdoors, the St. Matthews neighborhood is well known for its lovely parks. Brown Park and Seneca Park are located within the St. Matthews neighborhood. Brown Park is a 28 acre park and was recently recognized by Landscape Architecture Magazine as an award winning park. Seneca Park offers many amenities, including soccer fields, baseball fields, tennis courts, running paths, and an 18-hole golf course. 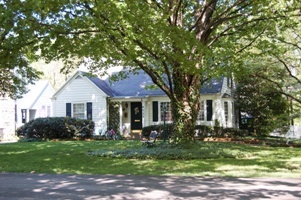 There is a lot of variety when it come to the homes in St. Matthews. There is something for everyone regardless of style and budget. In Arlington, homes average at the $193,000 price point, are usually in the cape cod style and average 1,360 square feet above ground. On the other hand, in Mockingbird Valley, homes average $825,000, are built in the traditional style, and average around 3,900 square feet. There are several communities within St. Matthews such as Bellewood, Cherokee Gardens, and Windy Hills, you just need to find the right match for you. St. Matthews is in the Jefferson County Public School District and is close to several public and private schools. Trinity High School, Waggner High School, St. Matthews Elementary, and Walden School are all close by. St. Matthews is also recognized for it’s restaurants and nightlife. Bluegrass Brewing Company, Meridian Café, The Fishery, and Ruth’s Chris are among the many celebrated spots to eat out. Established in the 1920’s, Gerstle’s Place is a local tavern known for their live music, and stay just busy today as they did back then. Louisville Homes Online features the best St Matthews real estate MLS search for homes, condos and land available in the St Matthews Neighborhood. We have worked hard to ensure this is the only site you will ever need. It is easy to use and navigate through St Matthews real estate searches. The listings on our site are updated daily from the Louisville MLS. Additionally, you are able to get new property listings daily that meet your search criteria. We would be happy to answer any questions you have.